← ‘Tis the season for Christmas concert! 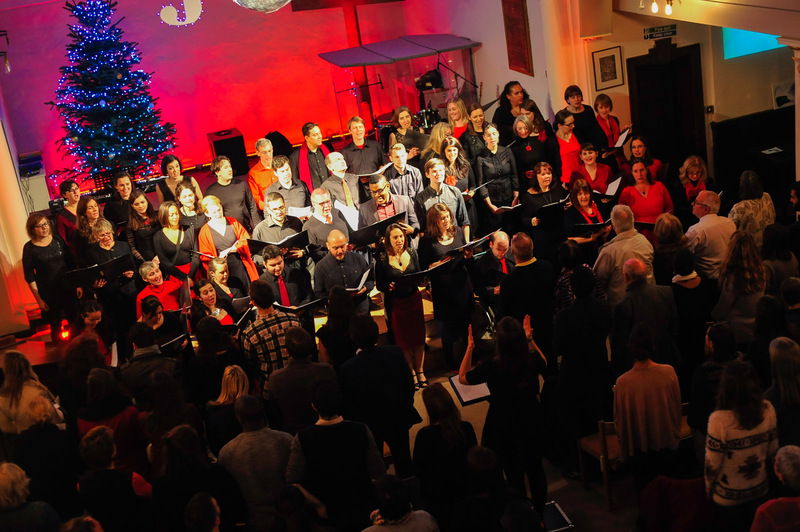 On 10th December 2014 we performed a fundraising concert for local charity GrowTH to a packed out St Paul’s Shadwell! 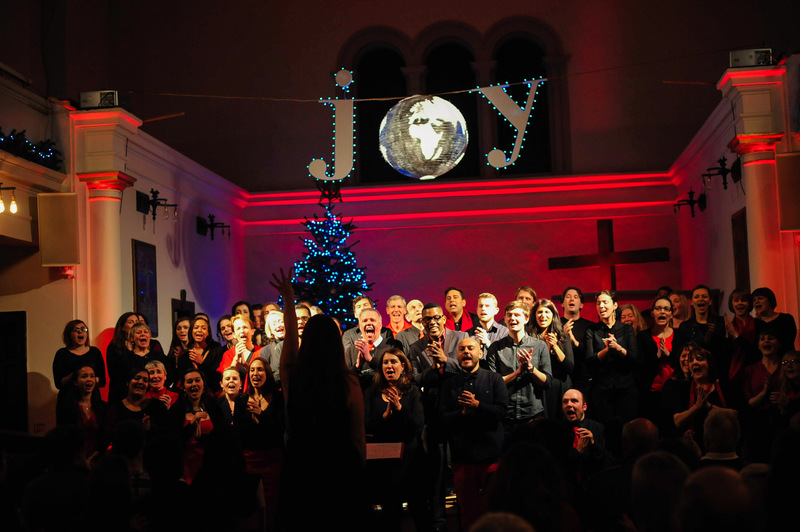 We had a great time singing Christmas classics from the sacred (O Holy Night) to the… well… not-so-sacred (Fairytale of New York), from the sublime (Joni Mitchell’s River – from which we took the concert’s title “Songs of Joy and Peace” – a hands-down concert highlight for me!) to the ridiculous (aka AWESOME: Last Christmas), all topped off with the mandatory audience participation carol singing, of course! We are delighted to have raised a total of £2832 for GrowTH. A huge thank you to everyone who bought tickets to make this possible, we hope you enjoyed the concert as much as we did! Big thanks also to Deutsche Bank for match funding our ticket sales. GrowTH works with Tower Hamlets churches to provide emergency shelter and meals for homeless people throughout the winter. Now in its fifth year, GrowTH employs two Advocate Workers who work on resettling guests into more stable accommodation during their time in the shelter; in 2013/14 they accommodated 155 guests and assisted 50 into permanent accommodation. 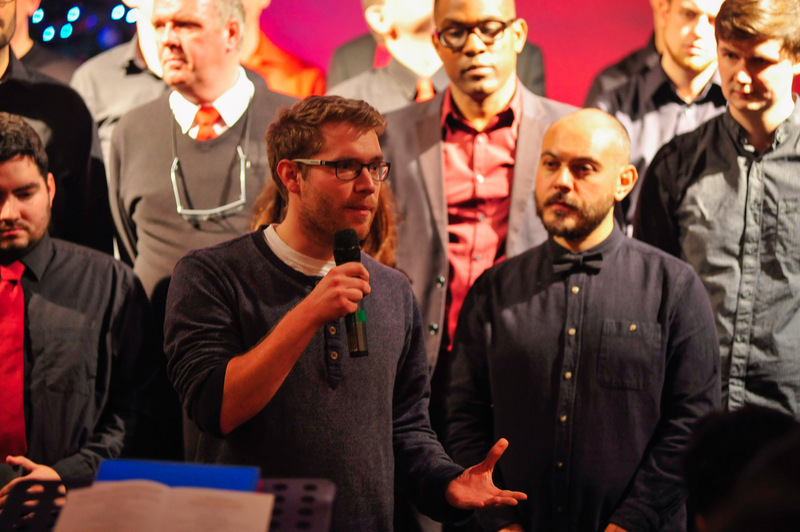 The shelter is run by volunteers from 17 local churches, including St Paul’s Shadwell where we rehearse each week, and where this fundraising concert took place. To find out more, visit www.thisisgrowth.org.